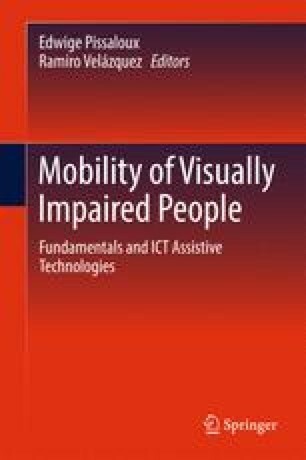 The chapter provides an overview of the factors to be considered in the design of travel aids which meet the needs of blind, visually impaired and deafblind people. The chapter consists of two main parts. The first part comprises an introduction, brief discussions of the long cane as a successful travel aid (with limitations) and how blind people travel; a categorisation of travel aids and an overview of the three main phases of travel aid development. The second part considers the specifics of good design practice. The topics covered include specific principles of good design practice, app design, end-user involvement and particular features, including functionality, the interface, sensors, privacy and context awareness.